The kantele has a strong symbolic identity among Finns. That also holds true for Finnish Americans. Nonetheless its role as a living tradition can be hard to grasp to others than so called "kantele people". 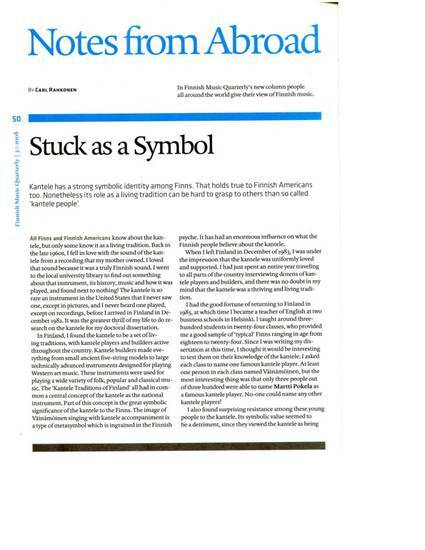 "Stuck as a Symbol." [An Inside-Outsider's View of the Finnish Kantele] Finnish Music Quarterly (No. 3, 2008): 50-51.